I am still in love with messy hair! I can’t help it. I am rocking the high messy buns and pony-tails like a pro. This Go-to Up-do Hair Style is the perfect blend of both. Black Friday is tomorrow! I am just starting to get excited about this day of shopping. For years I never wanted to deal with the people and would rather pay more that fight the insanity! 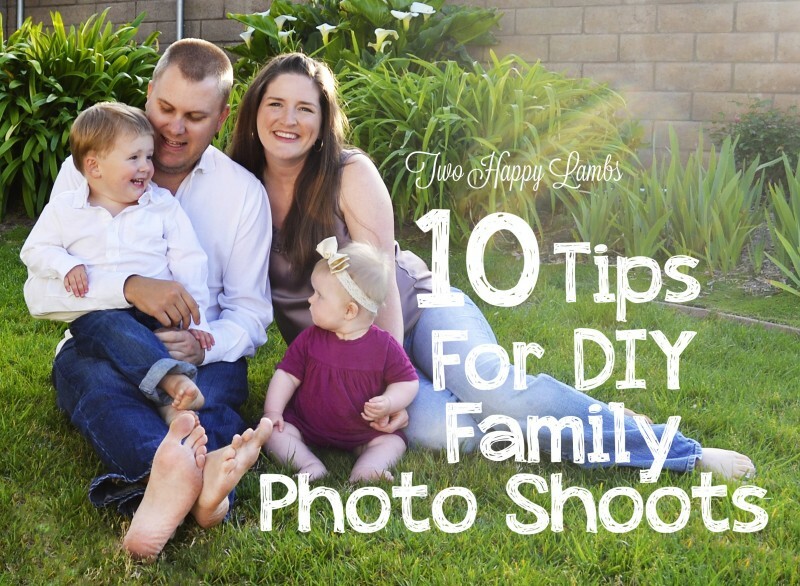 Since buying a home my perspective has changed and I need the deals! I would love to buy a new washer and dryer but that isn’t in the budget this year. 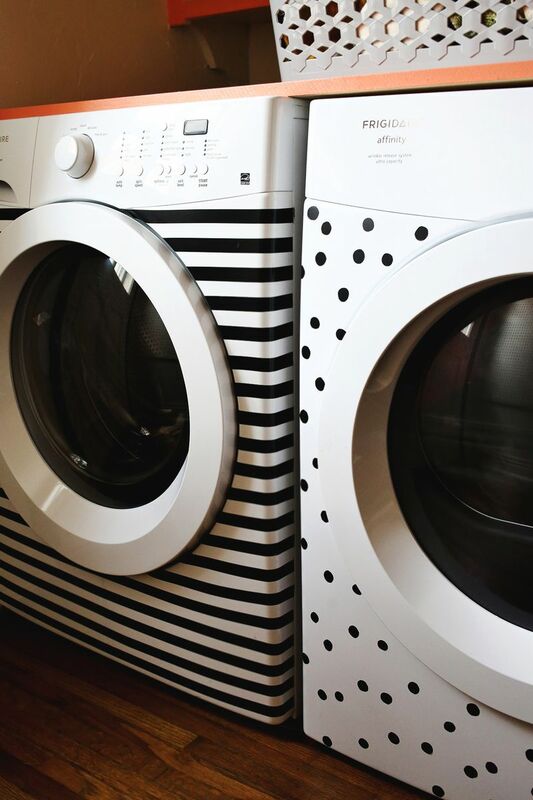 A DIY Washer and Dryer Makeover is the next best thing! What’s that you say? 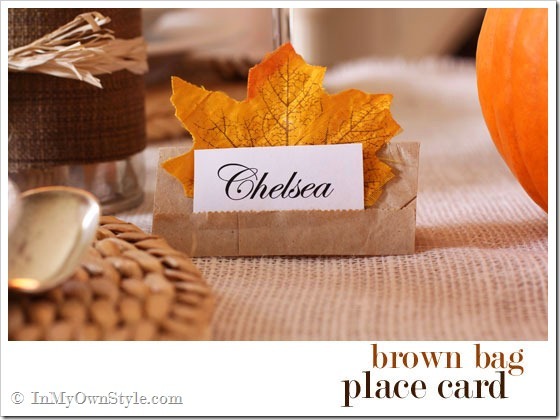 You need a break from Thanksgiving posts? Ok, but just one. How about Red Eye Shadow? Learn how to wear it like a pro! Have you tried this? I have always wanted to! I don’t have to cook the “official” turkey this year. I dodged that bullet! 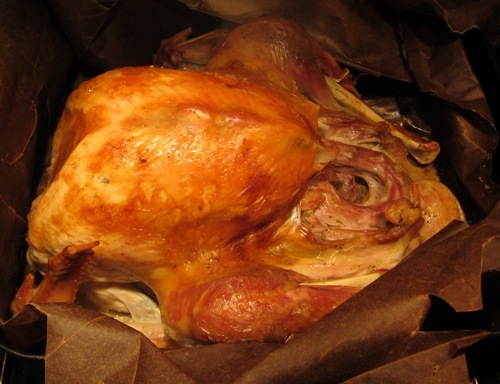 I am going to cook a tiny turkey the night before and I think I will try the Brown Bag Turkey method! The big day is almost here! 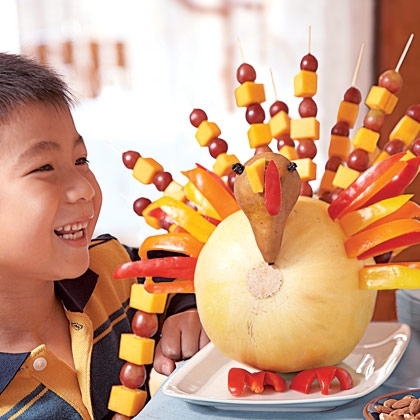 Turkey day! Are you prepared? Do you have all your supplies? The stores are getting crazier by the day. I am trying a bunch of new and alternative recipes this year and keep forgetting things. More trips to the store for me! One thing that I do have everything for is my DIY Brown Bag Placeholders. I started Christmas shopping yesterday and it could get a little spendy this year if I buy something for everyone I care about! The only solution is to make some of the stocking stuffers and little gifts. I tried making a scarf the other day and the end result wasn’t “gift material.” More like a ball of yarn that had deformed into a scarf-like shape. 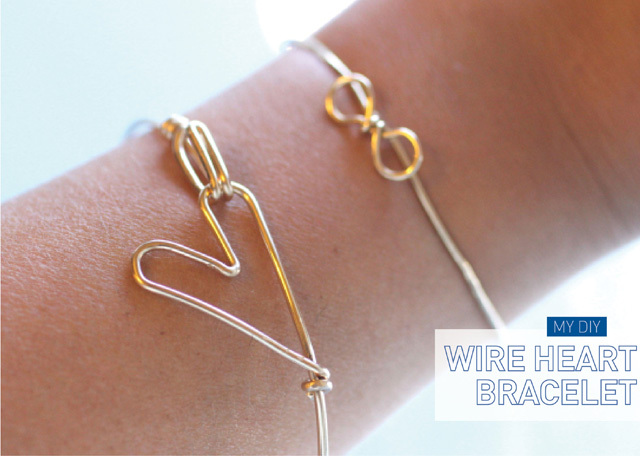 DIY Wire Heart Bracelets I can absolutely do! So can you!